After studying at the Philippos Nakas Conservatory in Athens, Vasilis Xenopoulos was awarded a jazz scholarship to the prestigious Berklee College of Music in Boston MA in 1999. In the same year he represented Greece in the European Jazz Youth Orchestra and toured with them throughout Europe. By 2002 Vasilis had moved to London and continued his studies under the guidance of Eddie Harvey, Stan Sulzmann, Jimmy Hastings and Pete Cook. Vasilis formed his first Quartet in 2005 and gradually established himself as one of London’s up and coming jazz saxophonists. As a jazz musician he has worked with some of the best musicians in the British jazz scene, such as Jim Mullen, Steve Waterman, Alan Barnes, Derek Nash, Bruce Adams, Martin Shaw, Nigel Price, Ray Gelato and many others. On an international level, he has appeared with a variety of top performers such as sensational pianists Hiromi, and Jason Lindner. In 2009 he formed his current ensemble “The Xtet” and their debut album “Loud City” containing 8 original compositions was released in 2011 to much critical acclaim. 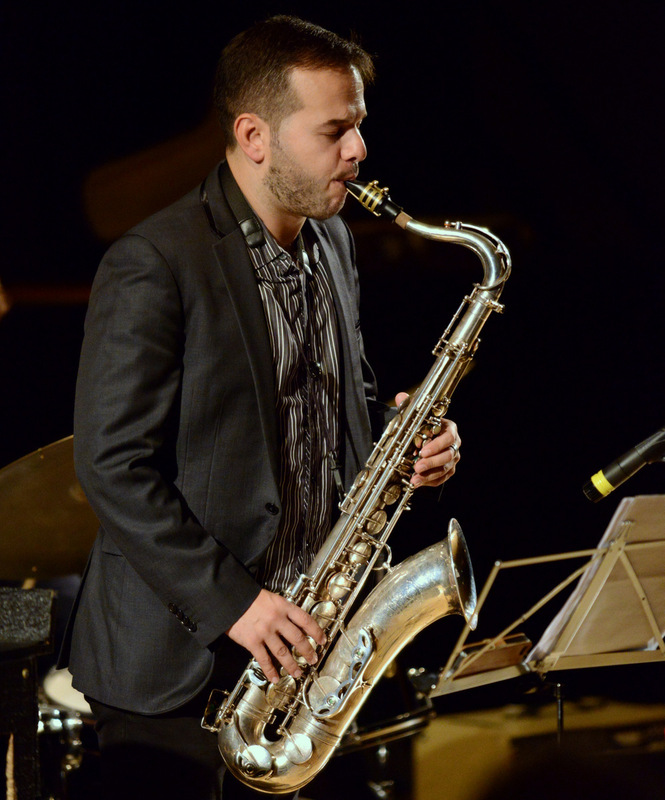 Vasilis has appeared in many guises, as guest soloist, as band leader or as saxophone section leader in jazz venues and jazz festivals throughout the UK. He he has been lead tenor in the Steve Taylor Big Band, and in the Ealing based Sound of 17 Big Band.